Sailing the Caribbean is easy with TradeWinds Cruise Club Guadeloupe. 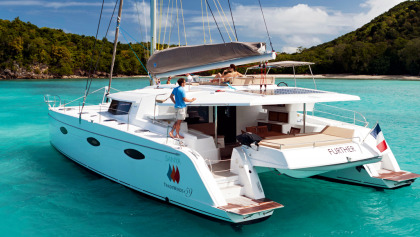 This unique vacation allows you a week-long cruise aboard a luxury catamaran where you will enjoy the open waters and tour the local islands. Throughout your stay, you will enjoy hospitality, stunning views, and delicious food and drinks. 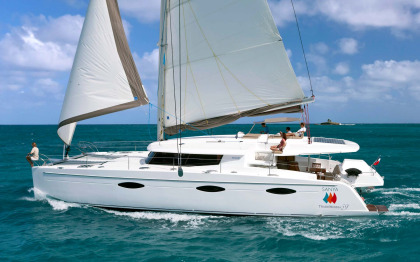 Caribbean sailing memberships can offer a variety of options with the TradeWinds Cruise Club Guadeloupe. Each of the yachts provides either three, four or five guest cabins, creating an intimate atmosphere and excellent service. Rooms feature a double bed and a bathroom and meals are provided with the all-inclusive fee. After breakfast, the boat will sail to different islands where you can tour the area and enjoy the water and beach. A wonderful dinner is provided, and cocktails are available on the deck while you admire the sunset. 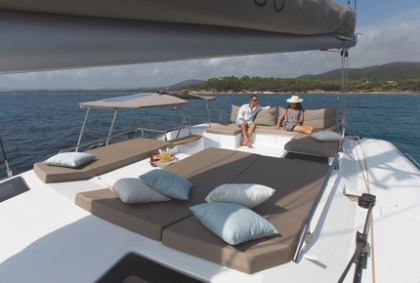 The yacht will set anchor overnight at one of the quiet bays while you enjoy a romantic peaceful setting. Amenities included with the cruise include snorkel gear for use throughout the trip and scuba diving equipment is available for certified divers for an extra fee. While sailing you will probably see dolphins and a variety of other water animals. Bath and beach towels are available as well as transportation to some tours of the islands. The food served onboard is not only delicious but also plentiful and fresh fruit is available between meals. An open bar is included in the all-inclusive fee, creating an affordable and enjoyable vacation. Visiting the French-speaking island of Guadeloupe in the Caribbean is a perfect destination for a vacation or honeymoon. The beautiful island offers an opportunity to explore and discover the unique area and visit the local shops. Caribbean sailing memberships can help make your dream vacation a reality with TradeWinds Cruise Club Guadeloupe. Beautiful weather, great staff, and tasty food make this cruise vacation a trip you will never forget. Contact TradeWinds Cruise Club - Guadeloupe Specialist Today!